It’s the Dragon Boat Festival also known as “端午节” tomorrow. Ever also wonder how the festival came about? The most enduring legend describes the incorruptible life and eventual exile and death of the Chinese patriot Qu Yuan “屈原” (343–278 BC). As Qu Yuan was well-loved by the common folk, desperate attempts to protect his remains were made. Fishermen beat their oars against the water to stop the man-eating fish from devouring Qu Yuan’s body, while cooked rice wrapped in leaves were thrown into the water to distract the fishes. Over time, these practices became what we know today as the Dragon Boat Festival. 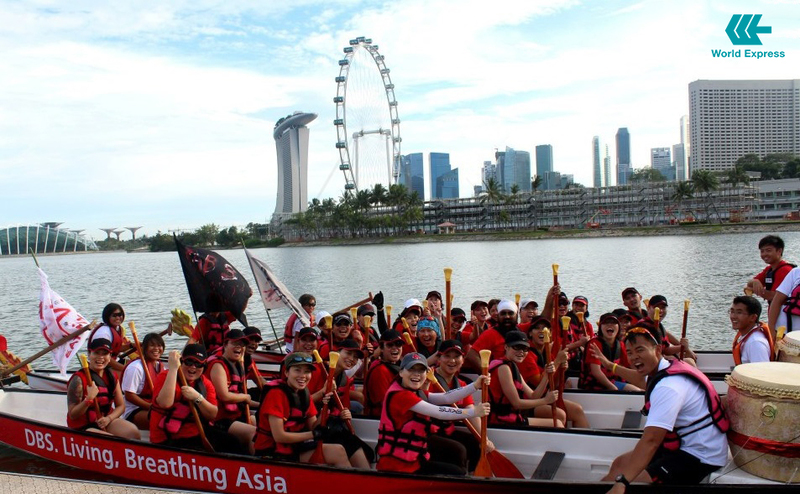 Dragon boating has also evolved into a popular sport and teambuilding activity across the globe where the sport is recognised for the camaraderie, strength and endurance fostered amongst participants, and it has also become a very popular corporate and charitable sport. If you have some time over the weekends, do drop by the Kallang River and watch dragon boat clubs race against each other. You can even give the sport a try yourself!